You know that saying about teaching an old dog new tricks? This could not apply more to Arnold Schwarzenegger’s return to the big screen in The Last Stand. I mean that in both a good and bad way. Some of the good include the stoic stare, classic one-liners, and plain action fun. The bad being the low quality of acting, average to poor dialogue, and predictability factor but somehow all of the bad do not negatively impact the overall action experience. A brief summary of the plot of The Last Stand is as follows: Sheriff Ray Owens (Schwarzenegger) is enjoying his day off on what should be the quietest day of the year when the town of Sommerton Junction’s high school football team travels out of town when suspicious truck drivers arrive. Suspicions heighten when one of the local farmers does not make a delivery followed by a call from FBI agent John Bannister warns that an escaped drug/mob leader, Gabriel Cortez, has escaped custody and may be heading to Sommerton as a means of evading to the Mexican border in a super charged Corvette. Click here for the trailer. Looking at the credits for The Last Stand with its mish-mash of names that I would have never thought would be in the same movie, it should have been a disaster but it kind of works. 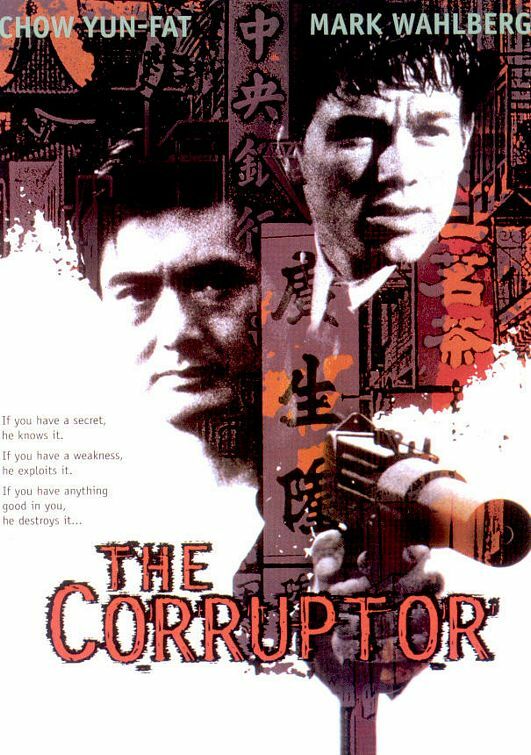 Starting with director Jee-woon Kim who is most known for I Saw the Devil (2010), The Good, The Bad, The Weird (2008), and A Tale of Two Sisters (2003) making his American film debut with this action/crime/comedy. Kim has proven that he knows how to shoot action scenes, craft intricate stories, and bring out great emotions from characters. The latter two do not exactly describe your typical Schwarzenegger flick. But The Last Stand holds up nice to his credits. The action was really well done which creates some tense and exciting scenes that are well adapted for an older Schwarzenegger character. Arnold Schwarzenegger is one of the few actors/movie stars where no matter what movie he is in I will see it and most likely enjoy it even if his characters are practically the same every movie. The Last Stand is no different except that the character is older and not as physically dominating. He still gets in his blows, punchlines, and incredibly accurate when necessary gunfire which makes his return to the big screen a positive addition to Schwarzenegger’s others. As for the other actors, they did a fine job supporting the big man’s return. Lois Guzman, Johnny Knoxville, and Peter Stormare are excellent comic relief. By the way, I cannot help but feel when casting a villain Peter Stormare must be one of the top choices consistently because he really does come across as sleazy and evil. Whitaker borderline over acted as an over anxious FBI agent but you cannot penalize him for trying to make up for the lack of acting from other minor supporting actors which have been improved by some better writing because the dialogue was the absolute worst thing about this movie. Most action movies suffer from poor writing especially most Schwarzenegger movies but The Last Stand may be one of the worst offenders I have come across as of late. Dialogue is practically thrown out the window to make room for one-liners and to speed through scenes to get to the action which I am okay with most the time but The Last Stand is just so poorly written that I feel sorry that Kim made his American directing debut with it. Overall, Arnold Schwarzenegger fans will not be let down but The Last Stand since it meets the formula of a lot of his other movies even though it does struggle more than most in the acting and dialogue area than his other movies. I give The Last Stand a 6/10. Bruce Willis is known for a lot of high-octane action-thrillers. From his early days of dangling from a fire hose outside the 35 story high Nakatomi building to his brief appearance in the star-studded Expendables series Willis always brings that extra something to make an action movie even better. That is not the case, however, for The Cold Light Of Day. No actor has a resume of just great movies. There are bound to be a few that have you scratching your head wondering “what were they thinking?” So I am willing to let Willis slide on this one because I think the success or failure of a movie is heavily dependent on the editing in my opinion (that does not mean that I am right). The Cold Light of Day has no substance at its all action core. As I hinted at earlier this movie may have had potential had it been edited differently. I have no idea whether this is how the director, Mabrouk El Mechri, had envisioned it but it just seemed sloppy and all over the place. It spent so much time on the action scenes and none on the development of the story. That is a petty complaint for an action movie but when there is an obvious question that needs to be answered and it is not it takes you out of the movie. Now they definitely had shot some more scenes that did not make it into the movie as does every movie, but the way they chose to speed over a lot of what could have been important plot details that needed explaining did not make sense to me. They would allude to explanations but never really make any sense of things and stuck the “just because” reasons. Normally I love when there is a lot of action but not when it is drawn out and goes nowhere especially when it comes to car chases. Of course with any action movie you do not watch it for the acting. That said it is hard to do wrong. Willis was his good as usual; Sigourney Weaver was very hate-able as a villain, and Cavill was so-so. I kept having a hard time rooting for him because he was winey at the start of the movie and I was getting real tired of the “where’s my family” and “I need to find my family.” It was very much a beating a dead horse kind of movie. They kept saying how bad of a person Willis really was but they never clarify if they were just saying that to get Cavill to do what they wanted him to or if Willis’ character was really a snake in the grass government worker. Kind of makes me nervous about Cavill being the next Superman. 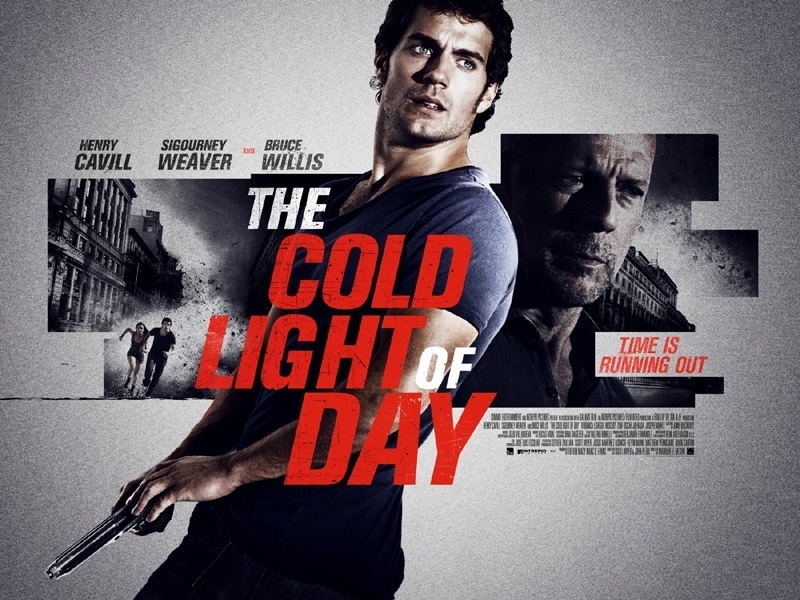 The Cold Light Of Day is easily the biggest disappointment of the year to me. Rarely do I question the title of movies of this one made absolutely no sense to me. It has been a while since Willis has let me down but maybe he saw how bad it was going to turn out and said take me out which is why he is barely in it. Yeah, I will just go with that. It is just a mess so I have to give it a 3/10. Martin Donovan’s movie about a struggle playwright that gets caught up as a hostage of a former neighbor/childhood “friend” that just wants to catch up over a beer while he is wanted for a murder. A simple plot but the details are what drives this movie mostly because of the unpredictable Gus played brilliantly by David Morse who perfectly channels this big intimidating con with the mental capacity of a teenager who is still gaga over Olivia Williams character (and who would not be?). Donovan’s performance is a tad on the stale side but you could tell he was more focused on the story and the development of Gus. But to me Collaborator’s ending falls kind of flat and tries to be a little too artsy. I give it a 6/10. For those looking for a new face in action/martial arts movies may just find one in this movie with Scott Adkins. He seems to be a cross between Jean Claude Van Damme and Jason Statham. The fight scenes are pretty cool but the story is eerily similar to the Mel Gibson flick of a similar name of Get The Gringo which is easily the superior gringo film. It is way too predictable even for the easily pleased action fan and just was nothing worth remembering. I give El Gringo a 5/10. All I can say if you are a fan of Family Guy there is no way you could not like this movie. Seth MacFarlane sticks to the formula that has given him success and I mean that in a good way. I am not a big fan of Family guy but I have always appreciated those seemingly random segues that are hysterical. Not to be cliché but beneath all the vulgarity there is a pretty heartfelt story. Plus unlike The Other Guys, I actually thought Mark Wahlberg was funny in this movie. I give Ted a 7/10. I used to say the Bourne films where one of my favorite trilogies but now with a fourth installment I cannot say that anymore. (WARNING THIS PART CONTATINS SPOILERS) Not that this was a poor movie but it just was missing something to me. It tried to explain something that did not need to be explained. I think before this film we just assumed soldiers like Bourne were expertly trained and now it is revealed they are genetically altered. Lame. Plus my favorite part of the films is always when Bourne would duke it out with a similarly trained killer, but in this film Aaron Cross (played very well by Jeremy Renner) never fights someone of equal caliber. I know my opinion is not shared but this one felt short of the others. I give The Bourne Legacy a 6/10. I think Will Ferrell’s well of laughs is starting to run dry and in a very distasteful way. He resorts trying to find new ways drop the f-bomb and playing the same character that finds nothing wrong with how arrogant he is. Galifianakis was a pleasant surprise in this one and easily the only funny thing about this movie. I give The Campaign a 4/10. It is easily one of the most fun and dumbest movies I have seen this year. Not only does the film flat out mock itself but so do the actors which you cannot help but applaud. The highlights of the movie were easily Norris, Van Damme, Willis, Schwarzenegger, and Lungren. Stallone got old really fast because most of his jokes were lame and I wish Jet Li was in it more because his opening fight was awesome. Don’t expect much plot going in but easily trumps the predecessor. I give The Expendables 2 a 7/10. The plot is kind of like The Sixth Sense meets Coraline. A loner tries to prevent the dead from rising by being able to speak with those who have pasted on. You cannot help admiring all the work that must have gone into making this movie because it visually is amazing. Plus laughs are ones for everyone. They are not all dumb-down and simple humor but has some pretty intelligent laughs. ParaNorman earns an 8/10. I have never been very good with symbolism whether it is in a movie or in a book. I just do not read too far into things. So this movie had me scratching my head a lot. I get that this movie is through the eyes of Hushpuppy, a child raise by her father in worn down and soon to be flooded neighborhood, but this was a little too artistic for me to follow and enjoy. After leaving the theater I was able to put some things together but I still found myself drawing a blank on what some stuff meant. This movie was way over my head. I can only give Beasts of the Southern Wild a 5/10. Beautifully made, I just had a hard time understanding it. David Koepp is probably one of the most underappreciated writers in movies in my opinion. I mean he helped write Mission Impossible, Carlito’s Way, and one of my all time favorites Stir of Echoes. So seeing his name and Joseph Gordon-Levitt’s attached to this movie, I knew going in it would be enjoyable. The movie has a great pace and never gets dull whether it is the relentless bicycle-stunts or the off the wall dirty cop played by Michael Shannon who stole every scene he was in. I look forward to seeing him in more antagonist roles after this one. My biased rating for Premium Rush is an 8/10. Absolute ghost garbage is probably the best way to describe The Apparition. The premise had potential. I idea of bringing a spirit into reality through belief is an okay idea; I’ll go along with it. But after that nothing makes sense even for a ghost movie. Stuff molding together, out-of-body experiences, and reach of this unknown entity. Ashley Greene, all be it attractive, was such an irritating lead. I just could not find myself rooting for her or her lovie-dovie boyfriend Ben played by Sebastian Stan. Just a failure of a movie, 3/10. Leaps and bounds better than The Apparition, but that is not saying much. I liked Jeffery Dean Morgan as a basketball coach striving to make it back to division 1, fighting to earn his marriage back, and now stop a Jewish, demonic entity from consuming one of his two daughters. The two girls were surprisingly not that annoying. The only annoying thing was the inconsistency with the sound it would get really loud and suddenly silence which did not make you jump just cringe for the safety of your hearing. And I was very impressed with the performance from Matisyahu. It is by no means The Exorcist but still a worthy addition to the demonic possession genre. I give The Possession a 7/10. I have to give a nod to Dax Shepard on this one, Hit & Run turned out to be a fun ride (no pun intended). It is not too inventive of a story, a con in witness protection hiding what he really did from his girlfriend to keep from losing her and stay safe from a fellow con that he turned on. But you could not deny the chemistry the Shepard and Kristen Bell had together. Their banter seemed natural and not too forced but at times it was a little like “okay we get it, next scene please.” Tom Arnold was hysterical and Bradley Cooper did an alright job. I give it a 7/10. Okay so there it is. 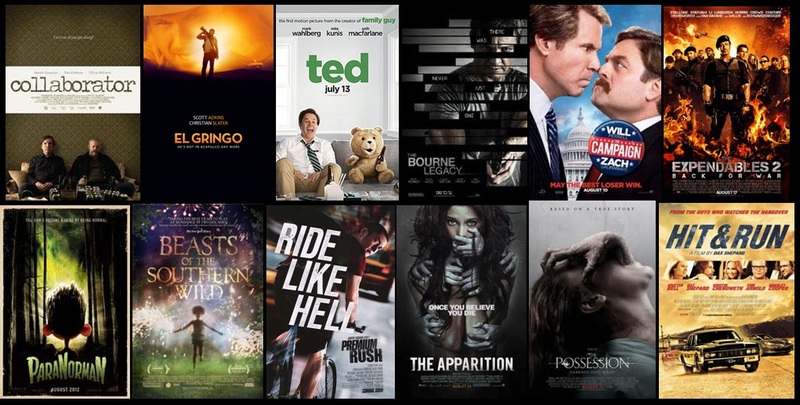 A long post for me but a short wrap up of my thoughts about these 12 movies. Sorry to have missed posting a random movie last week but things have just been very busy. But let’s be honest who reading this really cares, let alone even noticed. But anyway I will just jump into it. I have been seeing a lot of trailers for The Expendables 2 recent and I think it is safe to say that it is full of actors who when we see their name above the title of the movie, we immediately draw a conclusion of what is expected in the film. For example, Jason Statham usually plays the rarely clean shaven, tough as nails, cool, calm and collected silent type that has audiences either in love with him or appalled by the fact that he has made a career of it. People used to say the same for Jean Claude Van Damme who is also in the film. 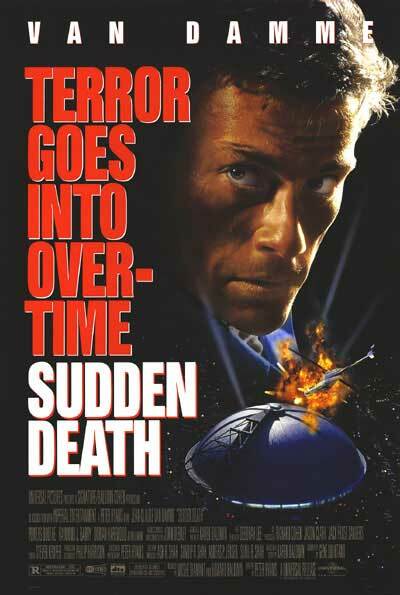 But even though he does not play the same characters Statham does, he too was labeled for taking a lot of the same roles which brings me to this week’s random movie, Sudden Death because to me this was a different movie for him. Now if after reading the brief synopsis and watching the trailer you are thinking, “Hmmm… this looks a lot like Die Hard.” You are right. There is a lot and I mean a lot of similarities which is why I am a big fan of this movie. Some have called this a knock off that is just trying to capitalize on the success of Die Hard and I can completely understand that but I really do not mind that. I mean when you think about it, a lot of action movies are like other action movies which is why you should not let that bother you. Sudden Death is definitely a fun action movie any action fan should enjoy. I give it a 9/10. I know people call Universal Soldiers Van Damme’s best film but Sudden Death is definitely at the top of my list. Let me know what you think in the comment section below what is your favorite Van Damme film. The best movie villains are not necessarily the ugliest, tallest, or biggest people in the movie but rather the smartest ones. The ones that are always a step ahead whether things go according to plan or not they have something else up there sleeve. Case and point being Anthony Hopkins in his role as Hannibal Lector, the genius, prim and proper cannibal in Silence of the Lambs. Is he ugly? Not really, clean cut with slick back hair and piercing blue eyes. Is he tall or big? No, according to IMDb he is barely over five foot, eight inches but the up-right posture he had the presence of some of a much larger stature. This brought all new meaning to what it means to be a terrifying villain. Ever since his iconic performance in 1991, movie makers have been trying to capture the same intimidation factor of someone of Lector’s intelligence. That brings me to this week’s random movie, Desperate Measures. If you are in the mood for an action flick that is fun and you can turn your brain off for, definitely check out Desperate Measures. The action sequences are well choreographed and pretty inventive. I am by no means up on my physics so I am sure some of the things that the devious villain, McCabe, comes up with to avoid capture are very much so toward the ridiculous side but like I said you can definitely turn your brain off and enjoy it. This movie has a lot to offer for action fans including explosions, shoot outs, car chases, hand to hand combat, and more. If you are some who struggles question like “how did he know to do that?” or “why would they do that?” then this probably is not the kind of movie for you. As I suggest in the introduction, a movie like this relies heavily on the effectiveness of the villain. For some reason I find a lot of people doubt the acting abilities of Michael Keaton and I cannot help but feel the opposite. People went crazy when it was initially revealed that he would be playing Bruce Wayne in Tim Burton’s Batman and I dare say he was the best Batman of them all. In my opinion his role as the TLC quoting police chief in The Other Guys. So when Keaton took a role as a dangerously intelligent killing machine I had no doubt in my mind that he would pull it off and he did. He was intelligence definitely has that intimidation factor needed whether it is his plain, blank stare in the prison or his malicious, teeth gritting expressions as he inflicted injuries to others. If you have seen Pacific Heights, another film where Keaton places a creepy and sadistic maniac, then you know what to expect. 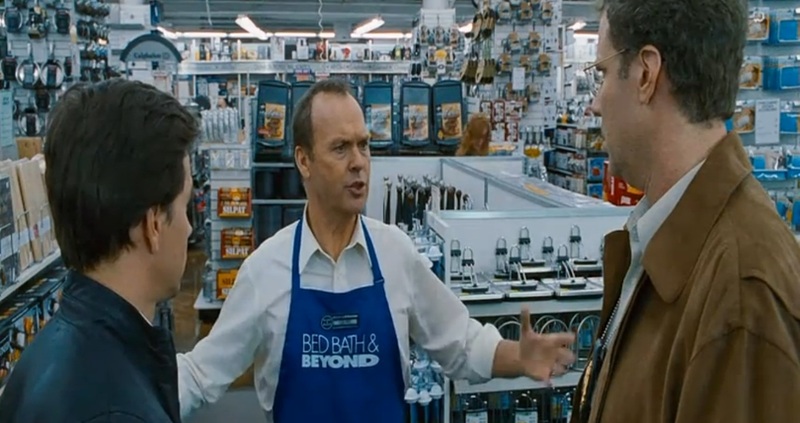 Michael Keaton (center) as Captain Gene Mauch in “The Other Guys” as he is confronted by Mark Wahlberg (right) and Will Ferrel (left) for making yet another random TLC reference. 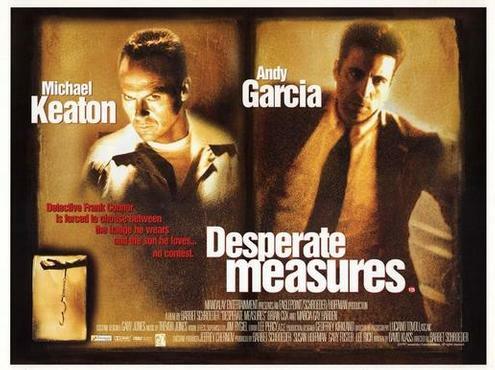 In my opinion, Desperate Measures is an action/thriller worthy of a watch even if only on a rainy afternoon with nothing else to do. I give it an 8/10 because it is towards the predictable side and lacks plausibility even for me.